These funky socks from Bonne Maison will both keep your feet both warm and stylish with their unique design. 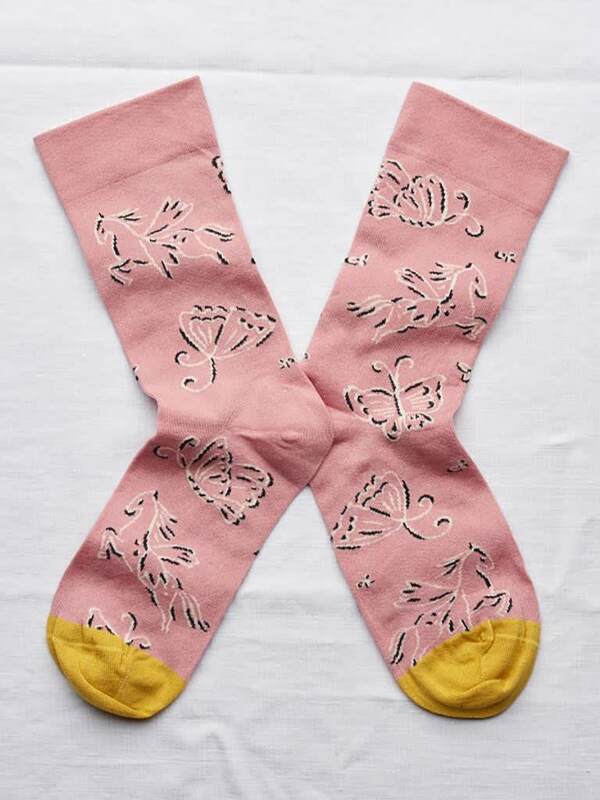 Featuring a butterfly and pegasus motif with contrast toes make these the perfect way to upgrade your sock collection. Bonne Maison cotton-blend socks Mid-calf height. Made in France.